What a transformation! 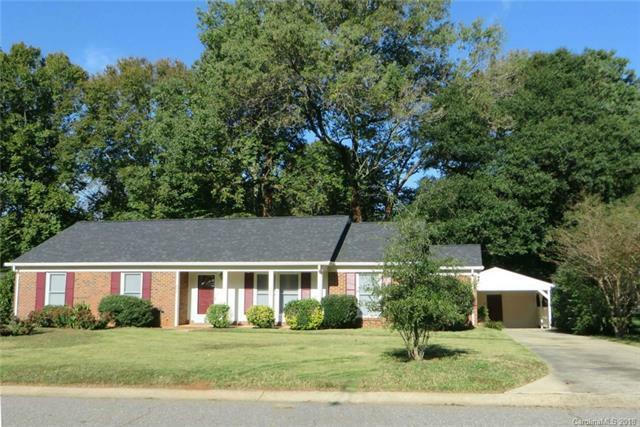 This full brick RANCH has been brought back to its former glory and looks brand new! Kitchen sparkles with granite counter tops, tile back splash and stainless steel appliances. Bright, open Living and Dining rooms with new wood laminate flooring. Fresh paint throughout. All new light fixtures and ceiling fans. New carpet in the Den and bedrooms. The Master has double closets, and both baths have been updated with granite counters. New water heater. New Roof. Pretty curb appeal. 1 car carport with attached storage. Long driveway offers lots of parking. Rear patio overlooks the private, treed backyard. Golf cart friendly community. Close to Goat Island Park, walk to Cramerton High School.